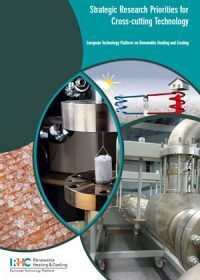 The European Technology Platform on Renewable Heating and Cooling produced this document to address the short, medium and longer term research and development needs in the field of renewable heating and cooling technologies. 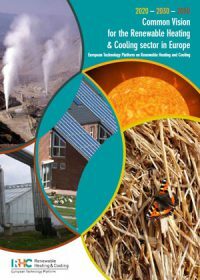 The authors identify research priorities for biomass, geothermal, solar thermal and cross cutting technologies. This document sets out the likely directions of technological and organisational changes that will need to be converted into specific research activities over the next years. Furthermore, it aims to facilitate the coordination of other research programmes in and between member states. ‘Cross-cutting technology’ is the term used by the RHC-Platform to describe any energy technology or infrastructure which can be used either to enhance the thermal energy output of a renewable energy source (RES), or to enable a greater fraction of the output by the system to be used, or to allow the exploitation of RES which would be difficult or impossible to use in building-specific applications. This publication outlines the strategic research agenda for these technologies: district heating and cooling, thermal energy storage, heat pumps, and hybrid systems. 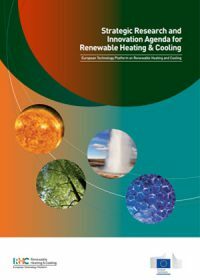 This report identifies major technological and non-technological challenges to the uptake of the renewable heating and cooling (RH&C) systems and assesses the potential of renewable energy sources to contribute to the European and national energy needs and targets.